Water damage doesn’t wait – our water emergency response team is ready 24/7 to address water damage quickly. We have over 20 years of experience in water damage restoration, and the latest technology to get your home and life back to normal as soon as possible. Certified Restoration uses advanced Injectidry technology to repair water damaged hardwood flooring – saving time and avoiding the need to replace flooring when conditions allow. Our team responds quickly with the best equipment to give customers the best chance of restoring their hardwood floors. Mold spreads quickly – sometimes within hours of water affecting an area in your home. It can cause serious property damage and even pose serious health risks. Our team takes moisture readings and tests for mold throughout the water damage restoration process. With 20+ years of experience, our team is here to help! Our expert water damage restoration technicians are here to help you throughout the restoration process. We respond quickly with 24hr emergency response available and work directly with your insurance company to save you the headache and paperwork. We use advanced industry technology to address water damage and test for mold. We conduct daily service calls to take moisture readings and ensure the restoration process is running efficiently. And finally, we are a resource to you. We are here to help educate with tips on water damage prevention, disaster preparedness, and helpful how-to tips. We don’t often experience flooding in San Diego – but with heavy rain seasons, we sometimes see disastrous floods in low elevation areas like our beachside communities and the Mission Valley area. It’s crucial to repair flood damage as soon as possible following a flood. When the restoration process is not started quickly, the likelihood of repair decreases. Certified Restoration responds within the hour to water damage emergencies in the San Diego area, and we work directly with your insurance company to save you the hassle. Plumbing issues can happen to anyone, at any time! Whether it’s just a leaky pipe or a burst pipe, it’s important to address water damage quickly using a professional water damage restoration company. Our team of water damage experts is here to help identify the water damage source, clean-up, test for mold and prevent future issues. Air-conditioners, refrigerators, dishwashers, and water heaters are all common offenders of water damage. 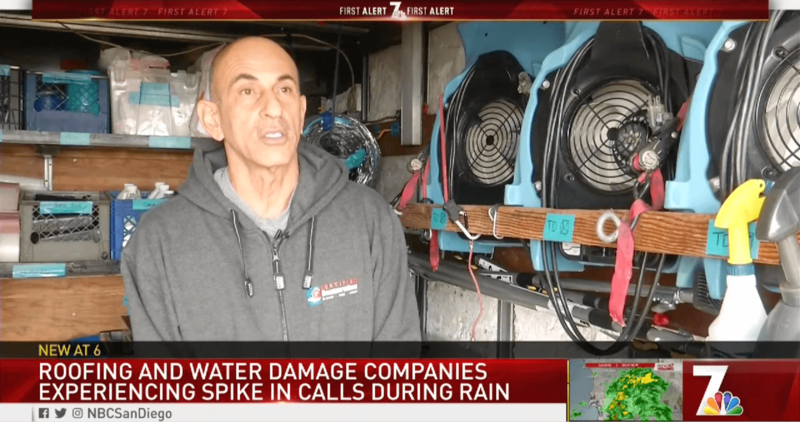 During the hottest months of the year, we love our air-conditioners in San Diego, but did you know your air-conditioner could be causing water damage in your home? Certified Restoration is here to help stop water damage quickly, and ensure that your home is back to its previous condition. If water damage is not addressed quickly by a professional restoration company, treasured items like family photos and heirlooms may be severely damaged. Our expert technicians respond quickly and work efficiently to recover as much as possible to keep your belongings safe and undamaged. Hardwood flooring is especially susceptible to water damage and can be difficult, and sometimes impossible to repair when handled improperly or too late. Certified Restoration uses Injectidry, an industrial-grade technology that uses high-pressure suction to vacuum moisture and dampness from hardwood flooring. Once the moisture is pulled, the system pushes dry air into the crevices of the flooring to finalize the drying process. Our technicians also specialize in drying wet carpet and preventing mold growth in the affected areas. Mold growth can occur within hours of a water damage occurrence – and can lead to health issues and serious property damage without proper mold remediation. Our water damage technicians handle water restoration quickly and thoroughly finalizing the restoration process with advanced mold testing to ensure you and your family don’t have to worry about any additional water-related threats. Know your insurance policy before an emergency - Homeowner's insurance doesn't always cover both. Common flooding in San Diego beach communities like Ocean Beach, Mission Beach, Pacific Beach, La Jolla, etc. It is important to know what is included in your insurance policy before you need to make a claim. Water damage that is caused by normal wear and tear of your home or business is typically covered under your standard insurance policy. Cases of water damage where the primary cause is due to neglect are not typically covered by insurance. It is your responsibility to your insurance company to mitigate damage which includes preventative care and early remediation of any causes of water intrusion in your property. Flooding due to natural causes is not normally covered by a standard insurance policy. Separate insurance is needed if you live or have a property in areas of San Diego that are susceptible to flooding. 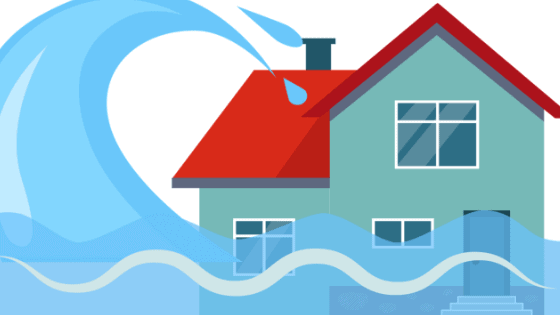 For more help understanding the difference between flooding & water damage and what is covered, contact your insurance agent or visit our blog post on Flooding versus Water Damage. not likely covered by insurance due to culpability of damage. Especially common for water damage in historic San Diego neighborhoods such as Hillcrest, Bankers Hill, Golden Hill and others that have properties that are old. Water damage that is associated with contaminated water (grey or black water) and will need sewage clean-up. We take pride in what we do. Certified Restoration will always be transparent with its customers and make sure we keep our clients informed of their options throughout the entire restoration process. We will never make more work than is necessary which helps keep your costs low. Check out what yelpers have to say about us!